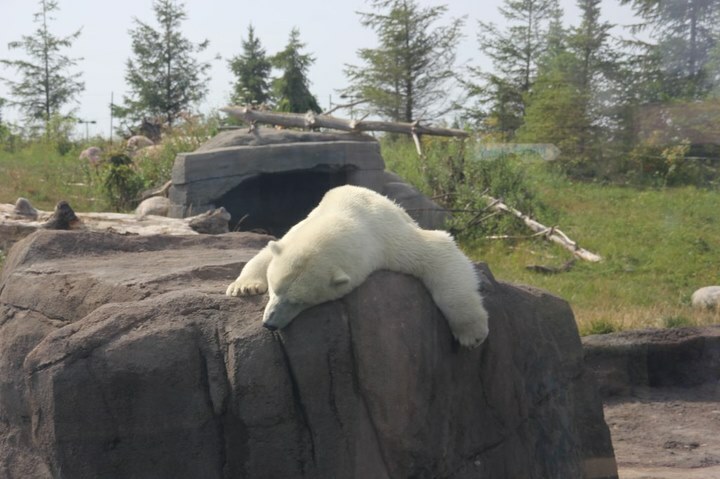 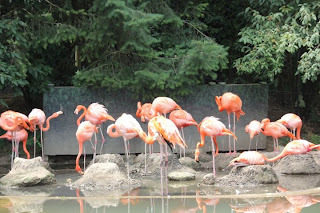 2012 Wuhan To Ohio Summer Program: A Wonderful Day In The Zoo!!! 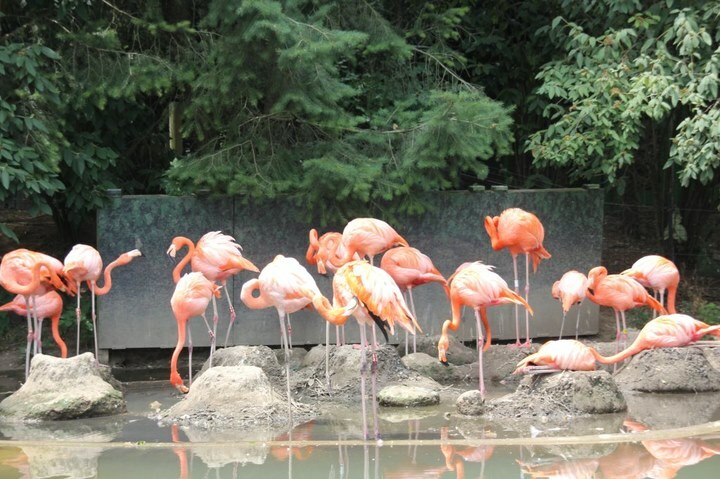 Though it was very hot outside,I enjoyed our zoo day very much.My favorite is flamingo,It was the first time I saw them,but I fell in love with them at once, they are beautiful ,aren't they?Especially thier color,maybe that's why people call them '火烈鸟' in Chinese. But I still think the animals in the zoo are so poor,zoo shouldn't be the place where they live,they should live in the wild .It is us who destroy thier homes and force them to live like that.I still remembered the polar beers in such hot weather,they must feel uncomfortable.Every time when we develop our living environment,we neet to be aware that we share the earth with lots of beautiful and amazing creatures.